The research report of the EU-funded project “Victims and Restorative Justice: An empirical study of the needs, experiences and position of victims within restorative justice practices” coordinated by the EFRJ between 2011 and 2012 is now available online (Daniela Bolívar, Ivo Aertsen & Inge Vanfraechem, 2015). 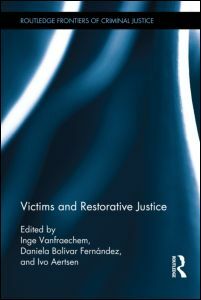 The project also resulted in the book “Victims and Restorative Justice” (2015), edited by Inge Vanfraechem, Daniela Bolívar Fernández andIvo Aertsen. Find here more info.